This issue of NASET’s LD Report was written by Dr. Vance Austin of Manhattanville College. It comes from the Spring 2015 edition of the Journal of the American Academy of Special Education Professionals (JAASEP). The classification of “Specific Learning Disabilities” has experienced revision in the last decade due, in no small part, to the changes provided in IDEIA 2004. The “discrepancy clause” has been replaced with “…response to scientific, research-based intervention,” for example. As a result, two new frameworks have been developed to ensure that students at risk for a learning problem or behavioral problem receive effective, research-based interventions to pre-empt the unwarranted classification of those students; namely, “Response to Intervention” relative to academic instruction, and “Positive Behavior Intervention and Supports” regarding student behavior. The article examines both these systems critically and suggests practical applications in today’s schools. Similarly, the author provides some effective strategies to address the characteristic learning challenges students with learning disabilities face in the classroom. The article concludes with an analysis of “Differentiated Instruction” and provides the reader with a “practical” way to differentiate the curriculum at all academic levels. Figure 1. 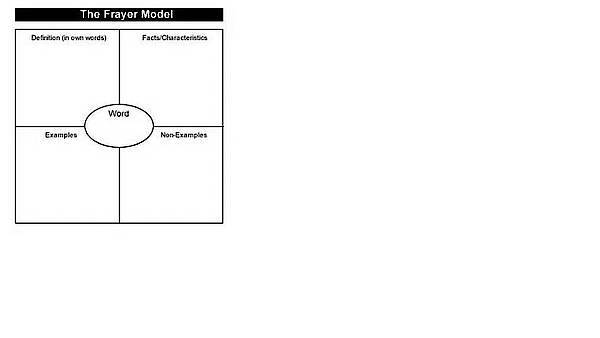 The Frayer Model exemplar. Figure 2. A sample semantic word web. Figure 3. A sample Venn Diagram. 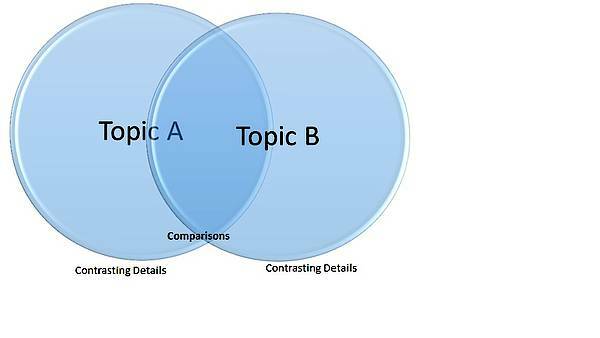 To further elaborate these techniques, we have chosen one example: the use of the Venn diagram (see Figure 3 above) to facilitate the organization and composition of a comparison-contrast essay. A notable example in literature is the essay “Grant and Lee: A Study in Contrast” by Bruce Catton (1955). The author used this essay to demonstrate in a deconstructive process, a possible outline for the essay, using a Venn diagram. Using the points provided by the students in the “comparisons” and contrasts” areas of the diagram, the teacher can easily help them develop a five-paragraph comparison and contrast essay. Similarly, the Venn diagram and sematic web may be used to help students with organizational challenges compose coherent, well-developed essays and papers. that most students with learning disabilities struggle with writing. Writing, fundamentally, involves the organization of ideas into a meaningful, coherent whole product. Whether that product is a narrative essay, an expository composition, or research paper is immaterial, the idea must be themed and organized meaningfully into paragraphs, each with a topic supported with relevant details. Typically, each written product should have an introduction and a well-derived or logical conclusion. to write! So often as when teaching a language in middle and high school, we tend to focus on the grammar and syntax, the spelling and semantics, rather than encouraging our students to just write…anything. We don’t seem to be as rigid when encouraging our students to read: teachers often share that they employ graphic novels, newspaper and magazine articles, as well as the “funnies.” However, our assessment of student writing is often far more rigorous. In the author’s experience, students who struggle to write and finally produce a heartfelt narrative, poem, autobiography, or rap lyric, only to have it dissected and critiqued in red ink, will not likely be motivated to write in the future. 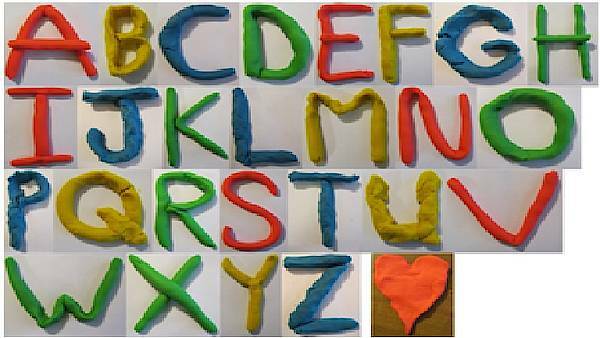 Here are a few tips for teachers to encourage students with learning disabilities to write, period! Red is, in western culture, regarded as signifying discontent or displeasure– red ink looks angry! The author’s suggestion is to use a pencil or a blue or black ink pen. The pencil is especially recommended, because it is not permanent and thus is more respectful of fragile writers’ egos. Next, provide engaging writing prompts to help students get started. “Writer’s block” is often visited upon students who struggle with writing, and prompts such as the ones provided below that are relevant, appealing, and grade/age appropriate are critical in motivating them to begin to write. A middle-age man is waiting at a bus stop. He has just learned that his son has died violently. Describe the setting from the man's point of view WITHOUT telling your reader what has happened. How will the street look to this man? What are the sounds? Odors? Colors? That this man will notice? What will his clothes feel like? Write a 250 word description. Write a narrative descriptive passage in a vernacular other than your own. Listen to the way people speak in a bar, restaurant, barber shop, or some other public place where folks who speak differently ("He has an accent!") from you, and try to capture that linguistic flavor on the page. Lastly, the writer has found that teachers who demonstrate that they are writers, too and are engaged in the process of writing set a tremendous example for their students. The author encourages teachers to share their own creative writing with their students and invite them to provide constructive feedback. Writing is a process, as we all know, and, consequently, there is always some aspect of our written work that can be revised and improved (Murray, 1972). Abstract reasoning, as found in math word problems, can also be a stumbling block for students with learning disabilities. There tends to be a misperception among some teachers and administrators that students can progress intuitively from the concrete to the abstract and that older students must have a sufficient grasp of numeracy and math operations that these skills need not be addressed by middle and high school math teachers; however, research shows this assumption to be patently incorrect (Miller, 1997; Patton, Cronin, Bassett, & Koppel, 1997). In fact, many older students who experience a math disability struggle with math problems involving the most basic math skills. The solution, therefore, is to ensure that their students have acquired the most fundamental skills, beginning with numeracy, or numbering, through to basic math operations such as addition, subtraction, multiplication, and division. Research shows that often, students with math disabilities have never been able to make the transition from the concrete to the abstract (Maccini & Hughes, 2000). 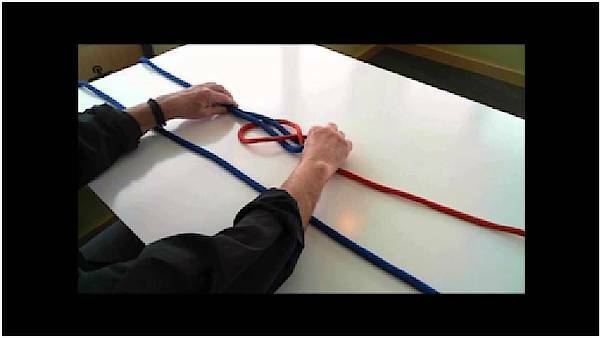 Typically, students with math disabilities need the help of math manipulatives to make the gradual transition from the concrete (the manipulatives) to the abstract (Arabic numerals, etc.). Once these students have successfully achieved that transition, they can then move progressively to more advanced levels of math. Studies suggest that students with math disabilities progress as they acquire mastery from numeracy skills, to basic math operations, to word problems, geometry, and basic algebra (Maccini & Hughes, 2000; Maccini & Mulcahy, 2007). Researchers also recommend that students with math disabilities learn the concept of “properties” or math characteristics, which are thought to be critical in understanding and mastering more complex mathematical concepts (e.g., Patton et al., 1997). 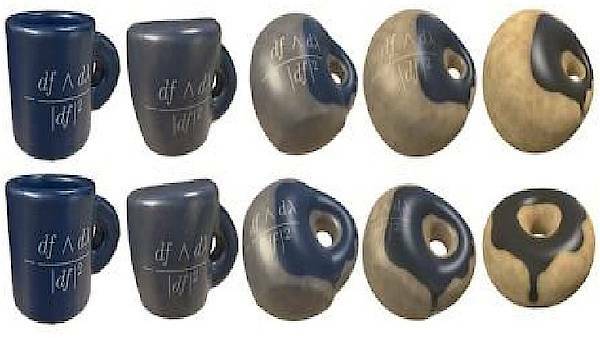 Some of the suggested strategies to facilitate the teaching of “properties” as they pertain to mathematics include: the use of manipulatives (e.g., creating upper case letters of the alphabet from playdough and the classification of “no hole,” “one-hole,” and “two-hole” letters & “How are coffee cups and doughnuts related?”-see illustrations below provided in Figures 5-9), the creation of Mobius strips out of adding machine tape, ‘balloon” geometry (geometric shapes drawn or uninflated balloons, which are later inflated to compare and contrast various “properties”), and knot theory, which again helps to teach the notion of ‘properties’ in a concrete way. Figure 5. “Properties” in the alphabet. Figure 6. 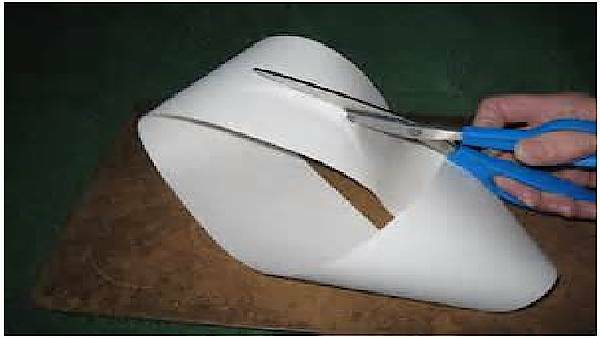 The “properties” of a mobius strip. Figure 9. 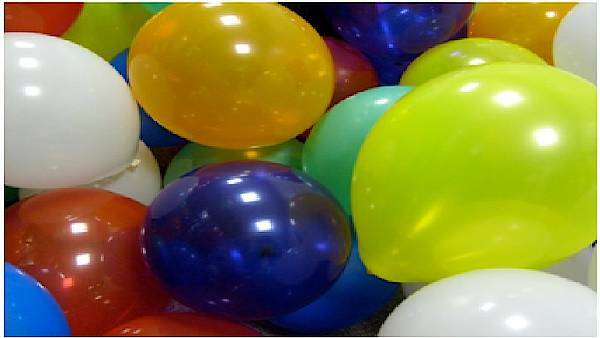 Balloon geometry (“properties” of geometric shapes). This list of strategies, though by no means exhaustive, has demonstrated success in the acquisition of math skills for students with disabilities. Central to each is the understanding that students with learning disabilities require concrete, multi-modal approaches to instruction in reading, writing, and mathematics. What is RtI? And what are Its Origins? RtI evolved in the 1970s in response to concerns over the validity of the aptitude/achievement discrepancy determinant in identifying students with specific learning disabilities (SLDs). Researchers and practitioners were alarmed at the apparent over and misidentification of ELL students and students of color and the percentage of these students classified as learning disabled began to increase disproportionately. In the 2004 reauthorization of IDEA, the “architects” of the act added “failure to respond to scientific research-based intervention,” and “alternative research-based procedures” to the “discrepancy” model as criteria for determining whether a child has a specific learning disability, also referred to as a “learning strength and weakness approach” (Flanagan, Fiorello, & Ortiz, 2010). Fuchs and Fuchs (2006) and others investigated the efficacy of RtI and it appears that the balance of research suggests it is a viable alternative to the traditional “wait to fail” approach. However, researchers and parent organizations have not fully embraced RtI, citing concerns over the possible latency in identification of students with a bona fide SLD. Most “experts” agree that RtI represents an effective intervention for students at risk for learning problems in reading and math, but there appears to be little quality empirical evidence to support it as a diagnostic tool (e.g., Hale et al., 2010). Hale and others (2010) in an “Expert White Paper Consensus” suggest that comprehensive evaluations should be used for the identification of a SLD. These researchers contend that children with SLDs need individualized interventions based on their specific learning needs. Others recommend using RtI for preventive purposes and comprehensive cognitive assessments for students who do not respond to research-based interventions (e.g., Hale, 2006). Essentially, the proponents of the RtI model assert that all students should be provided effective, research-based curricula in the general education classroom with differentiated instruction to accommodate all levels of learner proficiency. The research conducted by its supporters suggests that approximately 85% of students will be successful at this foundational level, referred to as “Tier 1.” The 15% of students who are unsuccessful at this level will require more intensive, small group instruction involving, once again, effective, research-based interventions (Tier 2). Of this group, advocates suggest that approximately 5% of students will continue to struggle and will require even more intensive, individualized instructional interventions, which might involve special education and the provision of an individualized education plan (IEP). 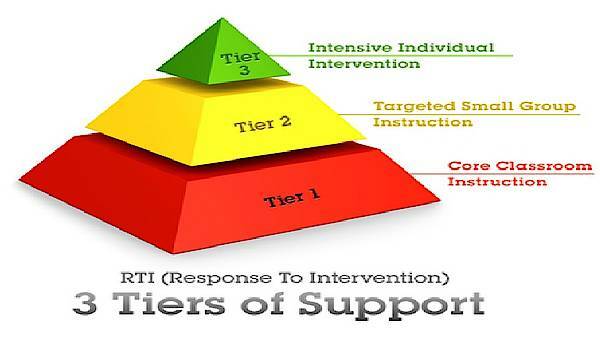 This level of intense, individualized academic intervention would be considered “Tier 3” in the RtI schema (see Figure 10 below) (Reschly, 2014; Sugai & Horner, 2009). Figure 10. Three tiers of the response to intervention framework. PBIS is, essentially, the behavioral counterpart to RtI and evolved almost simultaneously as a way to pre-empt behavioral problems among students. Like RtI, the model employs a 3-Tier framework, in which the first tier provides differentiated instructions and employs strategies that are scientifically-based. Students are continually assessed to provide authentic data from which teachers and educational professionals can make informed decisions about how to provide students at-risk for behavior problems with effective behavioral interventions to facilitate successful learning experiences. The second Tier of intervention is activated for students who do not respond successfully to Tier 1 interventions over time, as evidenced through assessment monitoring. The Tier 2 level of intervention typically involves the application of research-based strategies in a small group setting. Once again, students’ performance is carefully assessed and monitored to determine whether the student is ready to return to the regular classroom curriculum, needs further intensive intervention, or might need to be screened for special education classification. The Third Tier of interventions are reserved for students who do not respond satisfactorily to Tier 2 interventions. These consist of more intensive, individualized approaches that may be applied for up to 12 weeks, during two or more 30-minute sessions weekly. Ostensibly, students who do not respond to Tier 3, intensive, individualized instructional techniques may qualify for screening for special education services (Fuchs & Fuchs, 2006). Tier 1 school-wide behavioral expectations are explicitly taught and reinforced by all school staff. Theses behavioral expectations are widely displayed and discussed and positive reinforcement is consistently provided for compliance. Tier 2 is designed to address the problem behaviors of students who are non-compliant with the school-wide behavioral expectations. Typically, a very simple FBA is implemented for not-compliant individuals and a BIPs is developed. An example of a Tier 2 intervention would be “Check in, Check-out” (CICO), in which the student’s target behavior is monitored and his behavioral performance is recorded on a card by caregivers referred to as “checkers.” This “card” is transmitted to guardian(s) at home, who must acknowledge receipt through their signatures, thus ensuring home-school collaboration. Important aspects of this Tier 2 intervention are: self-monitoring, and scaffolding (Filter et al., 2007). Tier 3 interventions are more intensive and employ individualized, evidence-based approaches, predicated on an effectively developed FBA and resulting in an “actionable” BIP. Examples of Tier 3 interventions include: individualized counseling sessions, daily report cards, and the implementing of self-monitoring skills. A concern expressed by stakeholders is that the Tier 3 interventions appear to be synonymous with those provided as related services in an IEP for students receiving special education (Sugai & Horner, 2009). The most effective use of RtI is as a preventative measure in preempting the early development of learning problems through the application of scientific, research based instructional methods in the general education classroom. Methods such as differentiated instruction also help to prevent the development of learning problems. Student performance is assessed through universal school-wide screening measures that are criterion or norm referenced and administrated frequently. Students can then be provided differentiated curricula that address the needs of those who are in the advanced, above average, and below average performance ranges. In addition, the curriculums should be research-based and field tested as with the new, widely implemented state-wide Common Core Curricula and the related Learning Standards. These curricula should be taught by ‘highly qualified” teachers who provide “scientifically-based” interventions. According to recent studies, if effectively implemented at the Tier 1 level, approximately 85% of students showed they performed successfully at grade level. The approximately 15% for whom this level of intervention was unsuccessful would benefit, according to the literature, from more intensive, research-based, interventions implemented in small groups at several intervals during each week. Examples of such interventions include: Reciprocal Reading, DISTAR Math, and the Gillingham phonics-based Literacy Programs. Researchers acknowledge, further, that of the 15% who receive Tier 2 interventions, approximately 5%, may need even more intensive, individualized approaches, these would be considered Tier 3 interventions and examples might include Reading Recovery and one-to-one Math tutoring (e.g., Fuchs & Fuchs, 2006). Students who do not benefit from these intensive, individualized instructional approaches would be recommended for comprehensive cognitive evaluation for classification as a student with a bona fide learning disability. However, if any staff, caregiver, or guardian feels, based on valid performance data, that a particular child may have a specific learning disability, that child can be evaluated, using comprehensive assessments that measure cognitive and neuropsychological processes to determine the presence of a specific learning disability (Fuchs & Fuchs, 2006). Similarly, PBIS can be used as a school-wide approach to obviate potential behavioral issues. Such an approach can substantially reduce behavioral problems, school wide, if the program is implemented with fidelity. Such a program, adopted by an entire school or school district, would be considered a Tier 1 behavioral intervention. As with RtI, designed to address academic performance issues, PBIS would likely preempt the majority of behavioral issues as evidenced in the research shared above as well as office referral data provided by schools using PBIS models. In this framework, students are awarded points for exhibiting key prosocial behaviors during each class period. Incentives or rewards are provided to students commensurate with their weekly point totals. An example of a school-wide PBIS behavioral rubric with explicit criteria is provided below (see Figure 11). Students whose behavioral needs are unmet by the school-wide Tier 1 intervention (PBIS), might be provided a more intensive and individualized program, an example of which is the “Check-in, check-out” (CICO) plan as previously mentioned (e.g., Filter et al., 2007). In addition, students might also be enrolled in group therapy sessions, or special social groups. Finally, for the exceptional students who require even more intensive interventions, a Tier 3 model might be implemented, which would simply involve more individualized approaches such as individual counselling sessions, family therapy sessions, and the use of a daily behavior report card system (e.g., Filter et al., 2007; Sugai & Horner, 2009). 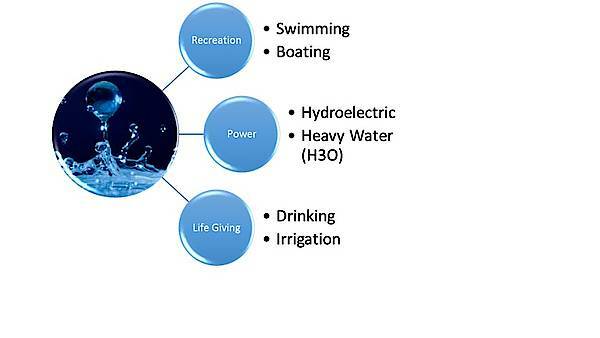 Figure 11. Student assessment rubric exemplars (PBIS). Differentiated Instruction (DI) has been in existence in a form called “Ability Groups” since the 1970s (Slavin, 1987) and has its origins in brain-based learning research (Willis, 2007; Wolfe, 2001) as well as the theory of multiple intelligence espoused by Gardner (1983). Tomlinson (1999) advanced her notion of its application to the classroom as a means of individualizing instruction for students with diverse abilities. Her area of focus has been at the childhood level and frequently with gifted and talented programs. It is important to understand her teaching background because critics of the DI model cite its challenges in secondary classrooms, given the shorter periods and the fact that teachers are content-based instructors (Ansalone, 2010; Joseph, 2013). Also, many teachers at the secondary level only see their students for one year, making true individualization of the curriculum very challenging. In addition, the stringent requirements to prepare students at the secondary level for various standardized, “high stakes” assessments mean that opportunities for continuous evaluation and curricular adjustment are much more difficult, if not altogether impossible for middle and high school content-area teachers (Ansalone, 2010; Joseph, 2013). Nevertheless, many schools and school districts report that they engage in differentiated instruction wherever and whenever feasible (McTighe & Brown, 2005; Subban, 2006; Tomlinson & McTighe, 2006). Essentially, according to Tomlinson (1999; 2000), teachers can differentiate instruction relative to: (a) the content (what is taught), (b) the process (how it is taught), and (c) the product (i.e., how the content/curriculum is assessed.). Tomlinson and McTighe (2006) further assert that teachers need to really get to know their students’ readiness to learn new skills, their interests, and their learning profile or aptitudes. One can see how such individualized and detailed information might be challenging for a middle or high school teacher to obtain when teaching a class of 30+ diverse learners (ELLs & ELNs) for a 40 minute period, five times per week. The task of differentiation is exacerbated by the fact that most public and private school teachers must devote a significant percentage of their curriculum and instructional time to review material relevant to the surfeit of standardized assessments their students are required to take. Furthermore, Tomlinson (1999) suggests that individual student performance needs to be consistently assessed or “continuously evaluated” to monitor growth in regard to the acquisition of skills taught, to ensure students are motivated to learn these skills as they are presented, and are performing the skills efficiently. The DI approach acknowledges three typical ability levels in response to the acquisition of a specific academic skill; namely, (a) the students struggling with the skill, (b) those on level (average), and (c) those students who acquire the skill readily and demonstrate that they are highly able (Tomlinson, 1999). Proponents of DI insist that it addresses all learning differences and ability levels, but is not a tracking system, because each student will vary in her ability to acquire a specific academic skill. Some examples of differentiated instructional strategies for teachers that require greater preparation include: use of tiered lessons, flexible grouping, use of multiple intelligence organizers, and use of graphic organizers. Similarly, examples of DI strategies that require less preparation include: reading and study buddies, anchor activities, think-pair-share, choice of books and interest surveys, and multiple levels of questioning (FloridaInclusionNetwork.com) [see Table 1 below]. On a personal note, as a high school and middle school teacher for over 30 years, the author has employed differentiated instruction with modest success in his classes that primarily consist of students who are from diverse backgrounds, many of whom are English language learners (ELLs) as well as many students with exceptional learning needs (ELNs). After studying the model as presented by Tomlinson (1999) and others, he has found a few ways to implement DI with some success. First, in a 40-45 minute middle or high school period with a class of 20-30 students, many of whom have SLDs or EBDs, individualizing instruction may be impractical. Logically, the MS or HS teacher can differentiate, as noted in some of the literature (e.g., Tomlinson & McTighe, 2006) according to three ability levels: high, on level (average), and low. As Tomlinson and others have conceded, differentiation may not be flexible across all three areas of instruction: “Content, Process, and Product” (Tomlinson, 1999). However, as appropriate to the skill being taught in the curriculum objective, a teacher may choose to differentiate in one of the areas deemed feasible and appropriate. For an example of this, see the lesson plan template and differentiated lesson plan sample provided in Figures 12-14 below. Note that the author uses the more curriculum-based terms, “Enrichment,” “Standard,” and “Mediated” to denote procedures and activities intended for “high,” “on level average,” and “low” ability levels. Also, consider completing the exercise included after these examples for practice in differentiating a lesson plan. Explain its significance to the Ancient Egyptians. Describe the main steps in the process. Discuss the importance of mummification in authenticating and verifying recorded historical events pertaining to Ancient Egypt. The teacher will present pictures and a video clip that explain the process of mummification. The teacher will ask students if they have ever seen similar pictures of the process, what they might already know about it, and what knowledge they have of Ancient Egyptian Culture in general. Video clip of mummification process. Relevant pictures of each step of the process. Pictures and sketches of the mummified remains of the great pharaohs and high-ranking officials of Ancient Egyptian society. Explain each step using pictures and a power point. Provide a handout with the steps delineated. The process will ensure that the deceased will enter the afterlife in a preserved state with riches, valuables, and “ceremonial” possessions to facilitate resumption of a privileged, joyous life. In the case of the Pharaoh, this process was essential in his/her deification to ensure that he/she would enter the afterlife intact as a god. The pyramid would point the way to heaven and act as a beacon to the greater and lesser gods of Egypt and thus ensure the safe passage and reception of the deceased. The tomb, with mummified body of the pharaoh would serve as a temple or shrine for his/her acolytes. Discuss the significance of mummification to archaeologists as well as Egyptologists (historians who concentrate exclusively on studying ancient Egypt). Provide relevant elaborative questions and ask enrichment groups to use web sites and reference materials to explore and inform them. Create a web “scavenger hunt” providing minimal clues for each question posed. Create a similar web “scavenger hunt” and supply more clues to include the web address of the most demanding and, potentially, confusing terms. A research project on the topic of mummification. A multiple-choice quiz, with short answer questions requiring elaboration. A Cloze exercise with a word bank containing the correct terms for the various fill-in-the-blank responses. A research paper on Ancient Egypt that includes a section devoted to “mummification.” Present key findings to the class. A report on a significant archaeological expedition that uncovered an ancient Egyptian mummy of great significance. Present report to class. Develop a scale model of a mummified corpse with appropriate labeling. Be prepared to use it to explain the process of “mummification. Figure 12. A differentiated lesson plan exemplar. Figure 13. A differentiated plan template. (e) A heightened metabolism and frenetic activity level. disabilities is a girl, and she has been diagnosed with ADHD. Using the attached lesson plan format as a guide, develop an abbreviated differentiated lesson plan that would be effective for this class whose constituents present diverse challenges. Select any subject area and lesson topic you prefer (it should be one for which you have prior knowledge and interest). Refer to your prior knowledge of the topic as well as the notes provided in the class for guidance. Figure 14. A differentiated lesson plan exercise. To conclude, while there are aspects of “Ability Grouping” and “Differentiated Instruction” that make sense, admittedly, there is very little well-designed research that supports its superiority over other approaches. And because, as Tomlinson concedes, D.I. is an amalgam of many different approaches and theoretical frameworks, it is very difficult to design a study that will provide measurable and thus meaningful results, since there are too many uncontrolled variables to be addressed (Tomlinson, 1999). Differentiated instruction appears to be most effectively implemented in childhood-level classrooms, given the extended time elementary school teachers spend with their students. It is far more challenging to employ at the secondary level for the reasons previously stated. Nonetheless, there are some potential benefits for students with disabilities and consequent diverse learning needs, if its principles are applied in a reasonable, flexible way, as suggested above. Whereas Tomlinson and others insist on fidelity of implementation of the differentiated instruction model, such strict compliance is simply not always practical at the secondary level, given the limitations described. In this article, the author has guided the reader in an investigation of learning disabilities and current approaches to prevention and intervention. Together, we have examined the essential challenges common to most students properly identified with a bona fide learning disability, and what distinguishes a true learning disability from a transitory learning problem. We also learned several effective, research-based strategies designed to help students with LD overcome these learning challenges as they affect reading, writing, math, information encoding and retrieval, and organization. Next, we investigated the learning framework of a preventative approach referred to as “Response to Intervention” and how it can be meaningfully applied as a prophylaxis for the development of learning problems affecting the acquisition of reading, writing, and math skills. Lastly, we explored the history and principles of the popular approach used in inclusive classrooms known as Differentiated Instruction, pioneered and developed by Tomlinson (1999) and others, and its practical application to students with disabilities in the classroom. It is the author’s hope that this unburnished examination of the classification, specific learning disabilities, will prove helpful to teachers, related service providers, and the parents and guardians of students with exceptional learning needs. Ansalone, G. (2010). Tracking: Educational differentiation or defective strategy. Educational Research Quarterly, 34(2), 3–17. Catton, Bruce. “Grant and Lee: A Study in Contrasts.” The American Story. Ed. Garet Garrett. Individuals with Disabilities Education Act. Journal of Law & Education, 42(4), 585-631. Filter, K. J., McKenna, M. K., Benedict, E. A., Horner, R. H., Todd, A. W., & Watson, J. (2007). valid is it? Reading Research Quarterly, 41(1), 93-99. Hale, J., Alfonso, V., Berninger, V., Bracken, B., Christo, C., Clark, E., & Simon, J. (2010). Critical issues in response-to-intervention, comprehensive evaluation, and specific learning disabilities identification and intervention: An expert white paper consensus. Learning Disability Quarterly, 33(3), 223-236.
recall in elementary students in the content areas. Unpublished master’s thesis, Dominican University of California, San Rafael, CA. teachers. Caribbean Curriculum, 20, 31–51. students with learning disabilities. Elementary School Journal, 96(3), 276.
algebra performance of secondary students with learning disabilities. Learning Disabilities Research & Practice, 15(1), 10-21. Interventions for Secondary Students with Learning Disabilities. Learning Disabilities Research & Practice, 22(1), 58-74.
détente possible? Theory Into Practice, 44(3), 234-244.
for processing information. Psychological Review, 63(2), 81–97. Murray, D. (1972). Teach writing as a process not product. The Leaflet, 71(3), 11-14. Norden, J. (2007). Understanding the brain. Chantilly, VA: The Teaching Company. comprehension-monitoring activities. Cognition and instruction, 1(2), 117-175.
with your mind. Reading, thinking and concept development: Strategies for the classroom. New York: The College Board. mathematics instruction preparing students with learning disabilities for the real-life Math demands of adulthood. Journal of Learning Disabilities, 30(2), 178-187.
evidence synthesis. Review of Educational Research, 57(3), 293-336. Tomlinson, C. (1999). The differentiated classroom: Responding to the needs of all learners. Tomlinson, C. A. (2000). Reconcilable differences: Standards-based teaching and differentiation. Educational leadership, 58(1), 6-13.
supported identification of SLD using RTI: A response to Colker. Journal of Law & Education, 43(2), 229-247.
memory, learning, and test-taking success. Childhood Education, 83(5), 310-315. Yates, A. J. (1966). The art of memory. Chicago: The University of Chicago Press. Dr. Vance Austin is Associate Professor and Chair of the Department of Special Education at Manhattanville College and also teaches part-time in a special high school for students with emotional and behavioral disorders. He has formerly worked full time as a special education teacher in both public and private schools where he accumulated over twenty-five years of teaching experience and has also taught at several colleges and universities. Dr. Austin’s interests in special education extend beyond the U.S. to include Canada and Vietnam. His current research focus is in the area of finding effective interventions for students with emotional and behavioral disorders as well as improving the quality of teaching in special education. He has authored many articles and book chapters, and presented at numerous national and international conferences on the topics of effective teaching and behavior management, and is completing a second book for teachers on the subject of working effectively with students with emotional and behavioral disorders.